Do you love meeting friends in a cozy coffee shop designed to encourage socialization? You can thank the nation of Turkey. They created this type of coffee culture; it’s evident through centuries of literature and music. The preparation and drinking of coffee still represents hospitality, friendship, and community. And this isn’t just a normal brew, either. 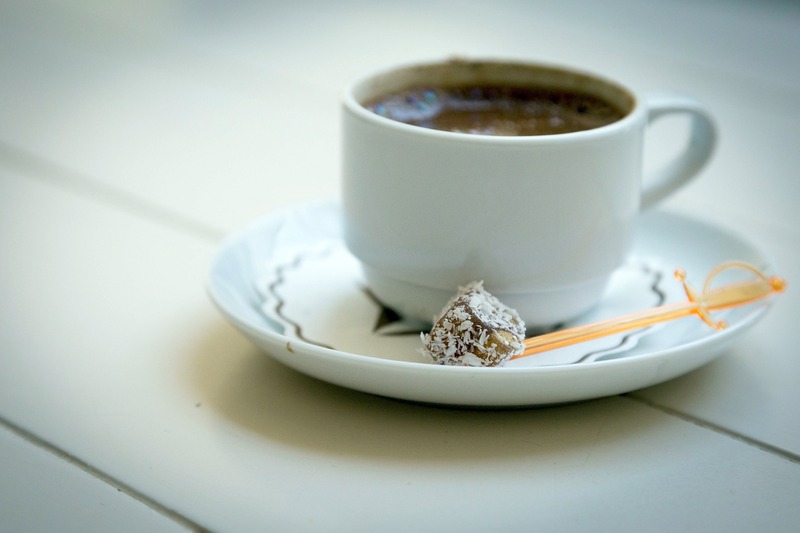 Using special equipment like a boiling pot called a cezve, Turkish coffee is brewed to be softer, more aromatic, and richer than coffee elsewhere. First, you grind roasted beans to a fine powder using a mortar or a mill. You put this powder into the boiling pot with cold water and sugar, and brew it slowly until the surface becomes foamy. It’s traditionally served with a glass of water and Turkish delight, a sweet made of starch gel, pistachios, chopped dates, walnuts, and rosewater. Despite it’s somewhat intensive process, pretty much everybody in Turkey knows how to make coffee properly. Added to UNESCO’s list in 2012, the Mediterranean diet has consistently remained of the most popular eating styles of all time. In countries like Cyrupus, Italy, Greece, Spain, and Croatia, people eat meals rich in seafood, vegetables, whole grains, and red wine. Studies show that this diet offers a complete nutritional profile, reduces high blood pressure, and can protect the body from other diseases. Perhaps more importantly, however, food for the Mediterranean region provides context for community. People cook and eat together, so meals are an essential time for socializing. The physical activity that surrounds food, like gardening and fishing, is also an important part of the area’s cultural heritage. It’s good for the body and the mind. The nation of Georgia is often heralded as the birthplace of wine, and they use a specific ancient method that was added to UNESCO’s intangible heritage list in 2013. Known as Qvevri after the egg-shaped vessel used in the process, this method requires a whole community’s participation. From a young age, children learn how to care for the vines, press grapes, and make Qvevris. When it’s time to make the wine, every part of the grape, including the juice, skins, stalks, and pips, goes into the Qvevri. After sealing, the wine ferments underground for 5-6 months. Wine is essential to everyday life and festivals, both secular and religious. You can find evidence of wine’s significance in Georgia through songs and literature. Beer has been a part of daily life in Belgium for decades. Up until the 1960’s, even school children chose between tea, coffee, or low-alcohol beer at their lunch. Using a wide range of fermentation methods, Belgium produces nearly 1,500 types of beer. When you go to a pub, you’ll usually find at least six on tap with dozens of bottled options. There are even special beer markets offering huge selections. Beer is also widely-used in cooking and what beer goes with what meal is carefully-considered. Belgium takes its beer culture very seriously, emphasizing responsible drinking, eco-friendly packaging, and education. How did coffeehouse culture move from the Middle East to North America?